Reggie has a cap hit of 6M, not 4.5M. And that is coming from 5 years with the Saints without one single 600 yard rushing season. Now he barley put's up two 1000 yard seasons. The guy is going to ask for 6M+ per year. Not worth it. That is, unless he is willing to take a large pay cut. His cap hit is 6 M but his actual salary is 4.5. They prorated part of his signing bonus he received in 2011 to this year's cap but that money has already been received. I know he already received it but it counts against this years cap which is the issue. Your telling me that he will willingly take less than he is making now for playing better? The guy isn't stupid. He is gonna ask for a lot and is not gonna get it from us. You can argue how good he is playing all you want, but even you know that he isn't worth 6M a year to us with Thomas and Miller on the roster. Especially since we don't use him as a receiving option and he doesn't get enough touches. Now then, if every other team has common sense and doesn't offer him a lot of money, I can see him taking a little less to stay with us. However, there is always a crazy team willing to overpay. I am not sure where you get that he is gonna ask for alot. Everything that is reported is that he is not going to. He was part of the last draft class to break the bank and he has stated as much in a recent article. Even the big bush fans will tell you he isnt worth the big big money but he is a real good football player and we dont have many of those so lets add more playmakers not let them go. Please stop with the daniel thomas tallk the guy is averaging 3.3 yards a carry wears a special helmet because of concussions already. 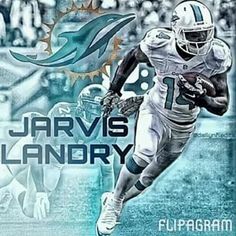 Awesome i like tannehill lets keep adding playmakers not letting them go. So you wanna take that away from Bush just because of that or what? I like to see him resign. But not giving him a huge payday. I like the tannehill that runs the ball when nothing is there. IMO that is what seperates he from Russell Wilson. Russell will exploit the defense when they turn their backs to him. I would like to see Tanney do that more. I believe that Reggie Bush is the best skill position player we have....by far. Letting him go would be a huge mistake. Players in the locker idolize him, and he sets the pace on the practice field. Beyond that he is a mismatch nightmare, and he is a guy that exemplifies leadership off the field. He won't command a huge salary and his prospects for playing time are as good in Miami as anywhere, so he should have incentive to stay and in my opinion, we should be extremely interested in retaining him. But then again so was Marshall and we sent him packing. I really think Reggie will not be resigned unless it is a cost effective for us, aka we are not breaking the bank for him. No...when Reggie makes those types of plays we get reminded of how great he is, but like I said before they are far and few between. At the point where I value running backs and the idea that he will split carries (less then 20 touches a game) this is what I believe his value is. I would assume that incentives would be involved in the cost and at the point he meets those he would be worth the extra coin. I wouldn't take anything away from either player, but I want to see Bush do that next week against the Bills and the following week against the Patriots. Bush's problem is that he will rip one off and then you won't see him get 50 yds rushing in any of the next three games. He needs to be more consistent. Maybe part of that is the O-Line, but Bush disappears too much during the season to be paid like a feature back IMO. Bush is a smart guy. I'm sure he has paid attention to the ups and downs of RB's in his position the last couple of years. He can sign to the highest bidder this season, and then gut cut after he doesnt "blow it up" like the team wanted. A good example is Ronnie Brown when he signed with the Eagles. Or he can accept a long term, reasonable deal. Bush has allot going on in his personal life as well. From all reports he wants to settle down with the future mother of his child, and she doesn't want to leave Miami. Bush has stated numerous times he wants Miami to be his long term home. I smell a home town discount cooking. I would give Reggie 3.5 mil as season for 3 years with some good incentives. He needs more touches. I don't know why they don't line him up in the slot more often and put Miller at RB.